Vampire Weekend have returned with their first new songs in six years. The band shared the minimalist, nature-inspired visualizations for the two tracks, titled “Harmony Hall” and “2021,” both of which are off the band’s forthcoming double album. The videos conclude with text wrapped around a rotating earth, revealing that the mysterious “FOTB” initials stand for the official album title, Father of the Bride. 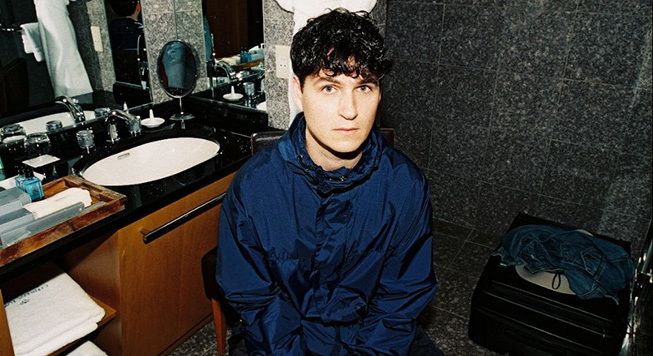 Frontman Ezra Koenig confirmed in a new interview with Beats 1 that Father of the Bride will be released April/May on Columbia Records, and they plan to release two new songs each month leading up to its full 18-track release in the spring. Fans of Vampire Weekend will also find a familiarity nested within a quintessentially Vampire Weekend track “Harmony Hall.” With a classic Koenig wail, the Modern Vampires of the City track “Finger Back” gets the callback, “I don’t wanna live like this / But I don’t wanna die.” The track was also co-produced by former Vampire Weekend member Rostam Batmanglij, who departed the band in 2016 to focus on producing and his solo career as Rostam. Clocking in at a concise one minute and 40 seconds, “2021” utilizes an eerie sample from Haruomi Hosono of Yellow Magic Orchestra. Listen to the two new tracks below, and take a jump back and listen to Vampire Weekend’s 2007 Daytrotter Session further down.